Wireless powered bookshelf speakers are always my favorite setup in the living room. 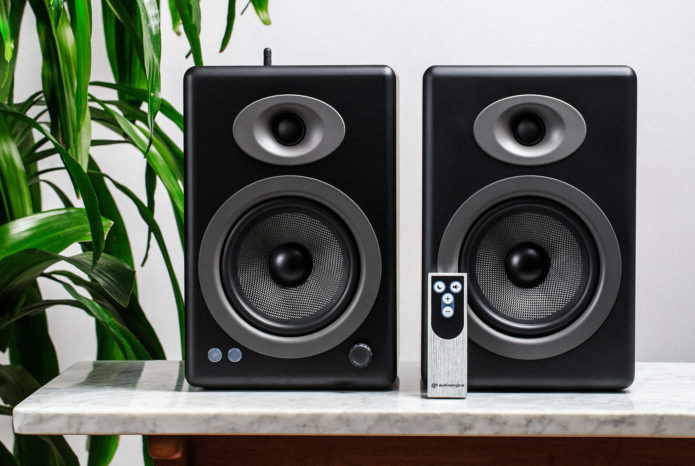 Although they are not as convenient as soundbars, the bookshelf speakers often sound a lot better. The Audioengine A5+ Wireless is the Bluetooth version of the Audioengine A5+ that was released 7 years ago. The Audioengine A5+ Wireless has exactly the same design as its wired version. You can’t distinguish the two systems just by looking at the front. The only difference is that there is a removable antenna on the back of the left speaker.